The Ferrari 560 is the biggest and newest edition to our pedestrian tractor range. The Ferrari has a fully hydrostatic drive with oil cooler, so high and low speeds can to reached depending on what job is being undertaken. 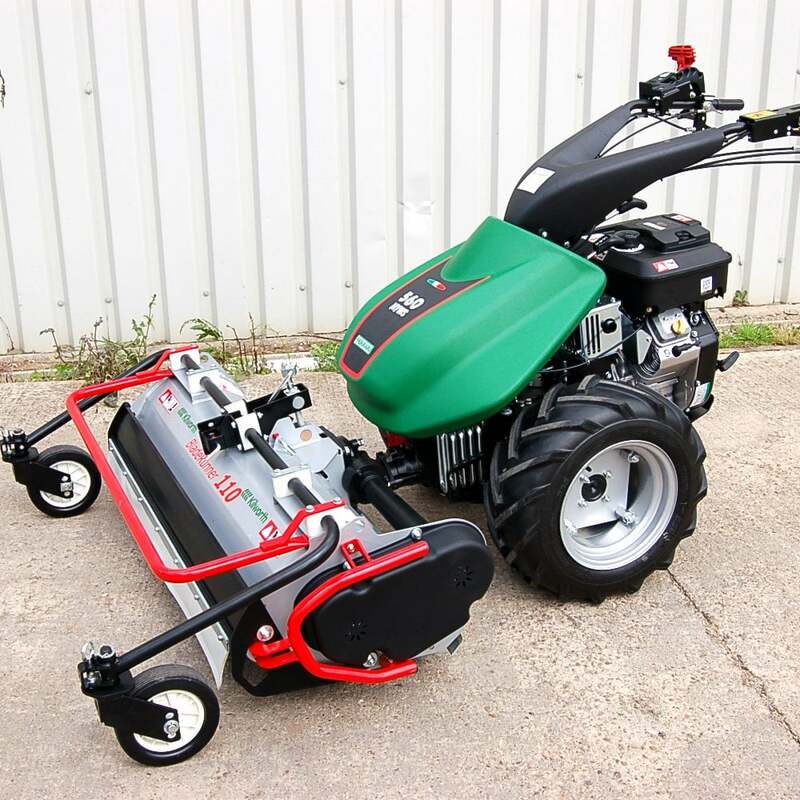 This tractor is suited to heavy duty landscaping and can have multiple attachments fitted making it a versatile tool. Attachments include; flail mower, front rotary mower, rotary harrow, plough, ridge and lifter, rotary sweeper, chipper shredder, duplex cutter bar, drum mower, snow blade, snow blower, stone burier, rotary plough and log splitter.